One of, if not the largest, controversial wellness topics of the moment is using cannabis-derived compounds for health purposes. Specifically CBD, holds potential to help an immense amount of individuals but scares them off due to its sourcing. 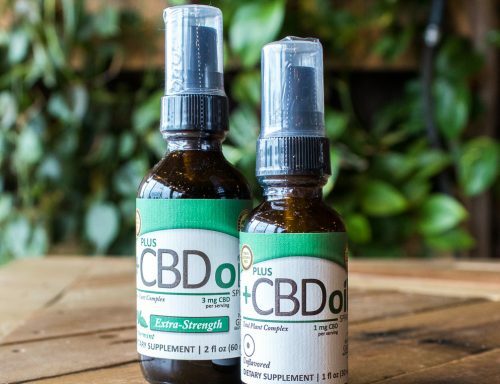 CBD products are sprouting up everywhere from here at Cornucopia to larger chain stores like Target, and are continuing to expand in the wellness market. If you’ve ever wondered about CBD, what it really is and how it’s legal to sell here at Cornucopia, we’re going to break it down for you. Keep reading to learn everything you need to know about what this item is and what it can really do for your health! CBD, or cannabidiol, is a cannabinoid; a chemical compound derived from the cannabis plant. There’s two variations of the plant, though; Marijuana and Hemp. There are over 100 chemical compounds found in the cannabis plant, aside from CBD the most prominent is THC. The difference between these two compounds is the later is psychoactive, it causes a “high”, whereas CBD does not. Discovered in 1992, research shows that all mammals have their own endocannabinoid system (ECS). This means that our bodies naturally produce some of these chemical compounds and have existing receptors for them. This system plays a large role in maintaining the body’s balance. It may influence our hormones, memory, mood, emotions, sleep, cognitive function, appetite, digestion and immune responses. Just about every process occuring in our body can be affected by the ECS. CBD and THC affect the body completely differently when you get down to the science of it; THC binds to the CB1 receptor which are found in the nervous system and brain. This is why there’s such a strong mood alteration. If obtaining marijuana-derived CBD you will receive of mixture of both compounds. However, CBD derived from hemp contains little to none THC (legally less than .3%) and does not bind to this receptor. Rather, CBD moves through 60 different molecular pathways affecting much more areas of the body. CBD can help maintain homeostasis of the ECS itself, which in turn aids to balance the body as a whole. What can CBD actually help with? Saying that CBD can help your entire body might seem like a stretch. There’s many specific ways this compound can have a positive impact on your well being. While some are thoroughly proven already, a new-er topic means some potential benefits do require more research to support the claims. Anxiety: Research shows that CBD may help reduce a multitude of anxiety related complications, such as social anxiety disorder, panic disorder, OCD and PSTD. One of the reasons for this is that is can bind to the serotonin receptor resulting in a more calm state, improved mood and reduced anxiety. Pain: While this is an area where a bit more research is necessary, the current results are promising for CBD’s positive effects on neuropathic pain for diseases like HIV, multiple sclerosis, and other conditions of chronic nerve pain such as migraines. In general CBD can affect how we experience or perceive pain due to its influence on nerve pathways. Inflammation: A large amount of pain can associated with inflammatory responses, and CBD can be extremely beneficial in those cases. Aiding to both prevent and reduce inflammation, this compound can aid everything from arthritis to premenstrual pains and soreness. For existing inflammation conditions CBD shows to increase adenosine signaling, a molecule that reduce inflammation. A possible cancer treatment; CBD shows to be beneficial by halting migration, adhesion and invasion of cancer cells all while being a nontoxic, long term treatment for ill patients. Neurological disorders: Also a possible treatment for neurological disorders such as epilepsy, that can ease or stop seizures while producing no negative side effects that other drugs treatments seems to cause. Again while more research is needed, some early studies show CBD can even lower diabetes risk and improve heart health. 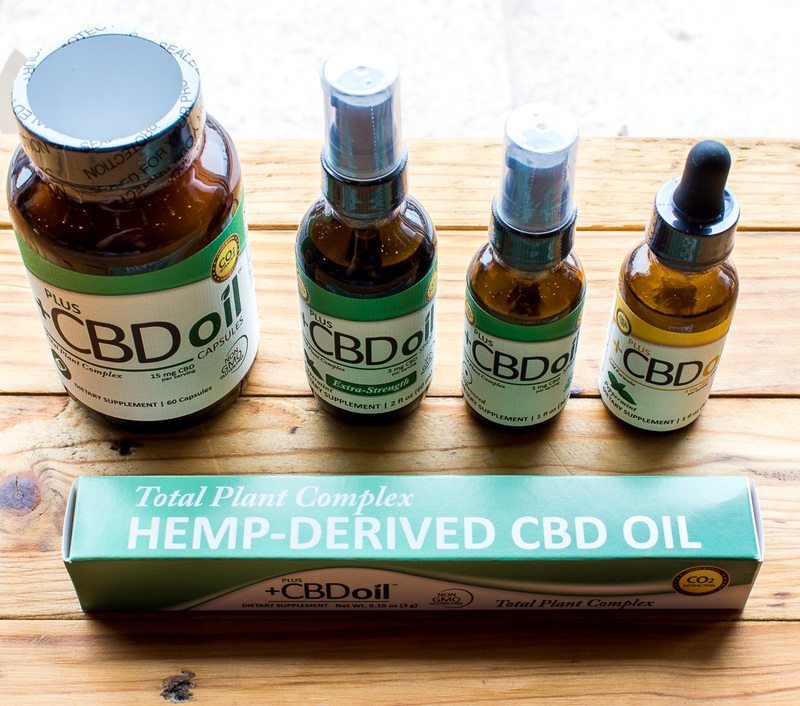 First and foremost, receiving your CBD-based products from a trustworthy brand is extremely important. Due to the increase in demand for CBD, and no regulation on product standards, synthetic forms have emerged causing illness for many. Luckily, we do the hard work for you at Cornucopia and thoroughly research every product we sell to you. 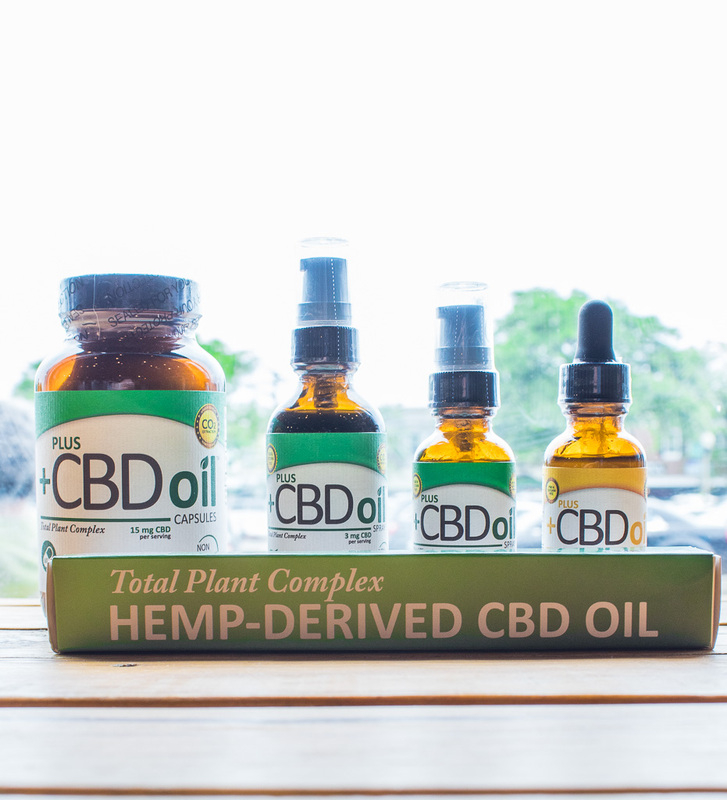 Plus CBD was one of the first CBD product lines we carried and we still love their transparency, reliability and high quality products. Plus CBD offers a full line of products; sprays and tinctures are the best absorbed as they do not use the digestive system. These can also be added into your food or drinks for easy ingestion. They also offer capsules, gel caps, concentrated doses, and topical balms. This company uses a chemical-free extraction process, environmentally friendly process, is non-GMO, gluten free and third-party quality tested. They even crafts their products to have a “hemptourage” effect; coupling CBD with healthy fatty acids and additional phytocannibinoids to ensure proper absorption and optimal function of CBD. For the first time EVER these products are on sale for the entire month of June, so if you’ve been curious about trying CBD it is the perfect time! Stop into the store and allow us to help you find which of these products will help you achieve your healthiest life.